Ms. Coronel-Armenta is currently the Accountant and Finance Officer for Cahan Properties, Inc. Prior to her position with Cahan Properties, she was the Operations Manager for Pacific Property Management, Inc. and Corporate Real Estate Broker of California. 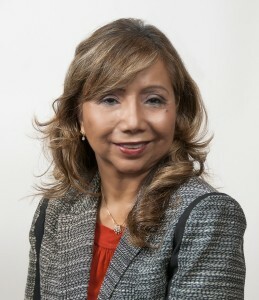 She has over 30 years of experience in Finance and Operations Management. Ms. Coronel-Armenta received her degree in Bachelor of Science in Business Administration and Accountancy from the University of the Philippines. She also holds two Certificates in Real Estate from UCLA and has a California Real Estate Broker License. In addition, she is qualified as a Certified Public Accountant in both the Philippines and the State of Texas. Mr. Mateo is a lawyer and a certified public accountant in the Philippines with 50 years of experience as senior finance and management executive in various companies. He is the current President of TVI Resource Development Philippines Inc., a mining company focused on the exploration, development and production of precious and base metals from district-scale, largesystem, high-margin projects located in the Philippines. He was also elected president of various subsidiaries under the TVI Group of Companies. 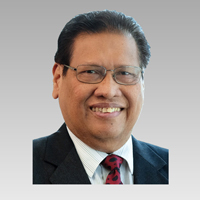 From 1998 to 2014, Mr. Mateo served as member and later on as Chairman of the Professional Regulatory Board of Accountancy. For many years, he was a professional lecturer at the Ateneo Graduate School of Business. Mr. Felizardo is a graduate of Metallurgical Engineering from the University of the Philippines and began his career as an engineer in a lead-acid battery manufacturing plant. He served as Senior Project Evaluator in a government financial institution that was in charge of setting up large-scale industrial projects. He later worked for a major copper smelter and refinery, handling price-risk management and hedging copper, gold and silver in the London Metal Exchange. 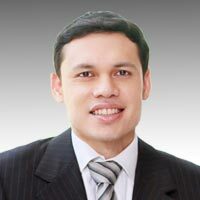 After his stint in the corporate world, he jointly established a consulting company, Minercon International, Inc. At Minercon, he has continuous involvement with local and foreign mines and smelters in the specific areas of copper concentrates, nickel ores, gold ores and other metal by-products. Such involvement pertained to various technical and commercial inputs into bankable feasibility studies, investment analysis, third-party due diligence and audit work, metals sales contract negotiations, logistics and contract administration.